The members for each committee are as follows and can be found on the GoBrangus website under the “Committees” section. These committees are compiled of volunteers from the IBBA membership and is open to anyone who is a member of the IBBA. In his continued effort to build upon the history of the legendary Brinks Brangus herd, Ray Westall, owner of Brinks Brangus at Westall Ranches, has announced the purchase of 250 registered Brangus females from 101 Ranch at Palo Pinto, Texas. The historic Brinks Brangus herd was built on performance fundamentals and has genetic influence worldwide. Today, many of the Brangus breed’s trait leaders for calving ease, growth, maternal and carcass traits are either Brinks sired or trace to Brinks sires. On October 11, 2014, Brinks Brangus at Westall Ranches will host their first bull and female production sale. The all-video sale will be hosted in Ruidoso, N.M., preceded by cattle viewing and a field day at the ranch in Arabela, N.M. Details will be available on www.brinksbrangus.com. SAN ANTONIO, TX – The Texas Brangus Breeders Association (TBBA) announces four new officers to serve on the TBBA Board of Directors. The officers were elected at the TBBA meeting May 3, 2014. They will be charged with providing strategic guidance and overall leadership for Texas Brangus breeders. 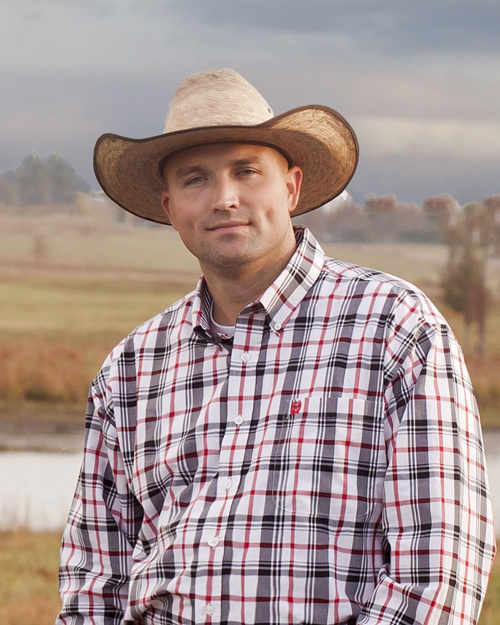 President Doug Muenchow is the owner and operator of Muenchow Farms in Flooresville, Texas. Somewhat new to the Brangus breed, Doug has a thorough knowledge of the cattle industry and chose to incorporate Brangus genetics into his operation to produce more heat tolerant cattle that could thrive better and more efficiently in the hotter, more humid environments prevalent in South Texas. Doug is very involved in the Bexar County and Wilson County junior livestock shows and is on the livestock committee for the San Antonio Livestock Exposition (SALE). When he is not working as a cattleman, Doug is an outside salesman for Alamo Crane in San Antonio. First Vice President Kelly Grissom is the owner and operator of 8G Brangus in Stephens County, Texas, located west of Fort Worth. Kelly’s passion for cattle stemmed from spending extensive time on her grandparents’ ranch east of Fayetteville, Ark., where they began raising cattle in 1963. After receiving her master’s degree from Tarleton State University, she taught biology and chemistry for high school and two local colleges for 20 years. Along with business partner Jackie Grissom, 8G Brangus’ primary focus is producing fertile, functional, sound, quality Brangus cattle. Now in her third year as a TBBA Director, Kelly previously served the board as secretary and firmly believes there is no better bovine than Brangus. Second Vice President Brandon Belt from Gatesville, Texas, received a J.D. from the Baylor School of Law after attending Tarleton State University where he received a bachelor’s degree in accounting. After a period in private practice in Gatesville, Brandon was elected County Attorney of Coryell in 2005. The main purpose of his registered Brangus operation is raising range bulls for commercial producers. He has been involved in many local, regional and state associations within the cattle industry and is currently serving as secretary/treasurer for the International Brangus Breeders Association (IBBA) Board of Directors. 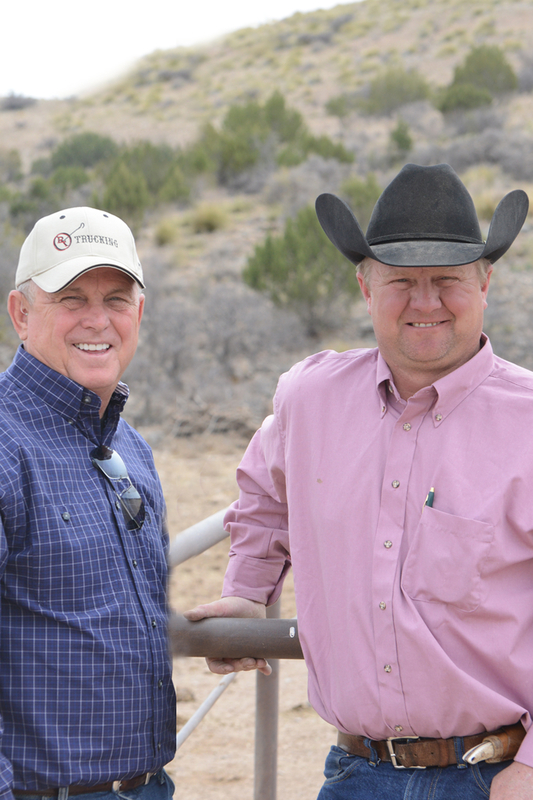 Secretary/Treasurer Steve Densmore has been involved in the Brangus breed his entire life. For almost 15 years, he has been the cattle manager of Circle X Land and Cattle Co. near Bryan, Texas, where he oversees more than 1,400 head of commercial cattle and a purebred Brangus cow-calf program. Steve has served on the TBBA Board of Director for numerous years and has held leadership positions on the TBBA board as well as on the IBBA board. He is a profound supporter of the International Junior Brangus Breeders Association (IJBBA) and received the IBBA Breeder of the Year Award in 2013. The IBBA, located in San Antonio, Texas, strives to increase the demand for Brangus cattle domestically and internationally. It was founded as the American Brangus Breeders in 1949 and has since evolved into the IBBA. The purpose of the IBBA is to enable members to serve the commercial cattle industry. For more information, visit www.gobrangus.com.